In absence of good public transport, one always requires an avenue to travel freely across a city at an affordable cost. While there were numerous articles we read about the kind of scams around two wheeler rental in Phuket and how they take undue advantage to extract money. 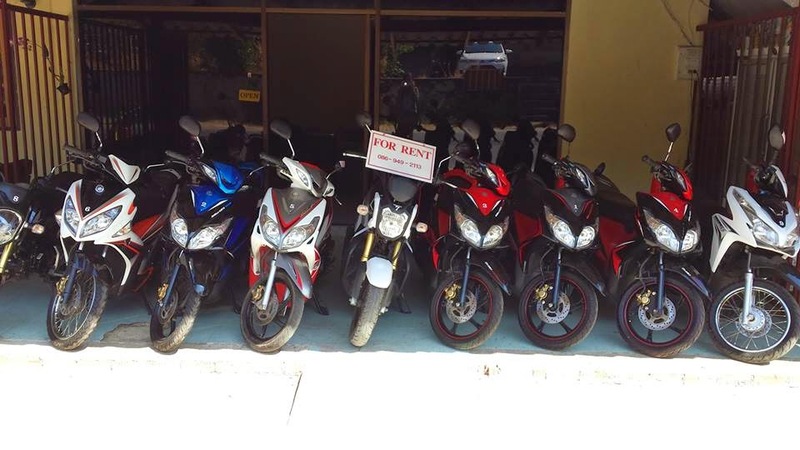 But considering that you can pay merely pay 250 THB and freely explore the city, I believe it is worth keeping few things in mind before renting a two wheeler in Phuket. #2. Passport – As an alternative to security deposit, they will ask for you to submit your original passport. While you can try your luck and offer them the original of your driver’s license or a photocopy of passport, they will not agree. In the past a lot of tourists have just left the rented motorbikes in middle of nowhere without returning it to their owner. #3. Insurance – None of the two-wheelers being offered on rent are insured. Hence you must make it a point to thoroughly check the aesthetics of the motorbike and to be on the safer side take a few photos of it in front of the owner at the time of rental. If you do not do this, there is a high probability that while returning, they might allege you of the damage or scratch on the vehicle which might have been there even before you rented it out. #4. Helmets – They will provide you with two helmets for safety without any additional cost. #5. Fuel – Do check the level of fuel in the tank before you rent it, as you will have to return it with the same level. #6. Timings – The rental of 250 THB is applicable for 24 hrs from the time of rental. However, do check with the rental team about the operation hours. If you are under the impression you can return it by 8-9 in the evening and the rental has shut down by 6 pm, you will end up paying for the additional hours until next morning. If you want to extend the rental duration, it is better to communicate it at the earliest. Also if you are getting delayed by an hour or two on the 24 hour timeline, it is best to inform the rental service proactively. It will save you from an additional penalty of paying for next 24 hours. #7. Security – One of the most important aspects. There have been incidents where the rentals work hand in glove with the crooks to pick up the rented vehicle from where you have parked it late night. Would suggest you inform the hotel security about your vehicle which is parked and maybe tip him to keep a close watch. In our case, the hotel owner was considerate enough and she allowed us to park the two wheeler inside the lobby for the night. But this will be possible or applicable based on the set up of your hotel. We were not comfortable with the idea of leaving our passports, but we did see a lot of other tourists had done the same. 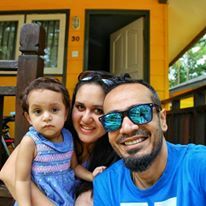 As an alternative we had requested our hotel owner if they could help us in arranging a two-wheeler. She did do so and since we were staying at the hotel and she had a copy of our passports and credit card, we did not have to submit the original copy. Make sure you watch your speed on hilly terrain as these motorbikes are around 125cc and not that powerful. Hence you wouldn’t want to lose control and spoil you vacation. Keep these points in mind and enjoy exploring the beautiful beaches and city of Phuket. While we wanted to enjoy the thrill of riding Harley-Davidson along the coastline, we did not come across a lot of information on rentals. While cruising towards Kata Beach on Day 2, we finally managed to figure out Southern Big Bike Chopper Shop. They offer not just rentals, but also repairs, custom work along with clothing and accessories. Their owner Bang has been in this business for 25 years?